When you think of operating system for your PCs, Windows is one of the first names that arrive into your mind. Almost all your PCs and desktops are equipped with Microsoft OS. The latest version of Windows incorporated in your systems is Windows 8 which has astounding features. But now its time for your PCs to upgrade to Windows 10 which is an advanced version of windows 8. It has features of windows 8 with more upgraded specifications. It is full-package, satisfying product for your computers. Let us jump into the details of this exclusive product which will be eventually launched by the Microsoft Operating Systems Group. · Windows 10 can run in all kinds of devices like PCs, tablets, smartphones, electronic wearables and many more. This product is compatible for a no screen device, a 4 inch screen device and also in 80 inch screen device. · The start menu of windows 10 features the styles of both windows 7 and 8. Its displayed menu consists of left and right sides. The left side resembles the familiar style of windows 7 and the right side resembles the colorful and modern style of windows 8. · The desktop UI consists of a task bar and a start menu similar to the previous versions. So one can access any app placed in any position of the machine with the help of windows 10. · Launching the new style apps in Windows 10 will help you resize the apps and drag them through out the screen. This feature has been kept similar to that of old Win32 app to maintain the familiar style. · Windows 10 has an exclusive feature which allows you to zoom out of one app and view another which is opened on the screen of the PC. · Windows 10 is a touch enabled OS as nowadays all devices are touch oriented. · With simple command of CTRL+C and CTRL+V you can easily copy and paste an app into your directory. · For developers and business people, windows 10 will increase efficiency in any field of creation which varies from games, web chatting, social sites etc. Windows 10 launch date has been decided by the Microsoft Operating Systems Group to be around the middle of 2015. So this exclusive product will arrive to us as a New Year bonanza. 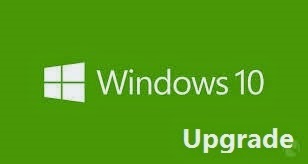 However windows 10 price tag has not been fixed till date. The launching and price of this product will be soon announced by the Microsoft group.